Studying in Witten – Not a question of money! Contribution rates & model contract The RGC – fair financing The three principles The SG as non-profit organization Contact us! 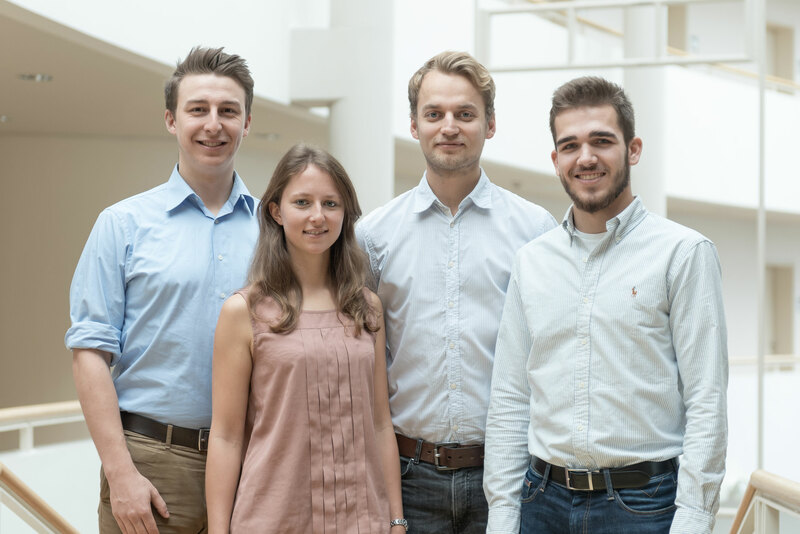 By means of the Reverse Generational Contract (RGC) the StudierendenGesellschaft (SG) enables students to finance their studies regardless of their financial background. For this, the RGC decouples the time of paying tuition fees from the time of studying: Students do not have to finance their studies until they start earning money. 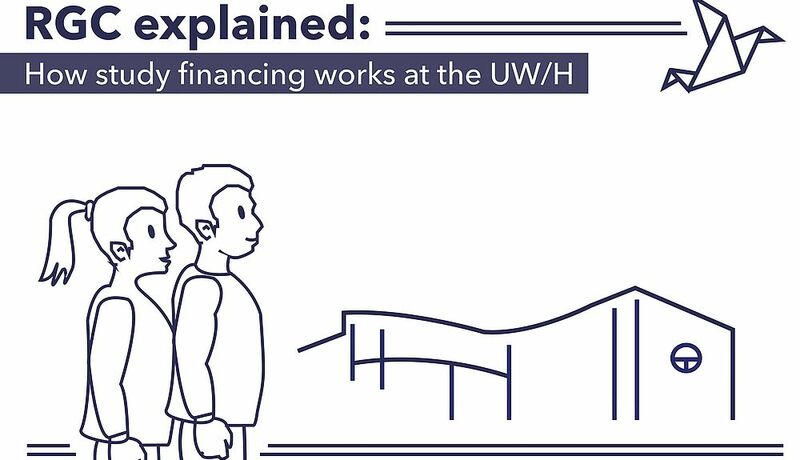 The StudierendenGesellschaft handles the entire financing of your studies at UW/H – independent of the way of payment you choose. Please contact the SG for all questions concerning the financing of your studies. Students opting for this way to pay do not pay anything while studying. As soon as they start earning money after graduation, they will make their financial contribution depending on their income and over a contractually fixed period of time. Those who earn little repay little; those who earn more repay more. Lower limit: You are exempt from repayment if your decisive income is below 21,000 euros. Upper limit: A fixed upper limit caps the repayment. The duration of your studies is independent of the contribution you make. It is also possible to pay your tuition fees during your studies, thus contributing to the success of Witten/Herdecke University right away. You pay a fixed monthly amount, which sums up to the average contributions made by those choosing the income-related repayment. After the standard period of study all your tuition fees are paid, and there are no further obligations. You can continue your studies without any further payments. 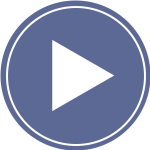 This way of payment combines income-related repayment with direct payment. The fixed monthly amount and the percentage for repayment are halved. At the end of the standard period of study you will have paid half of the total fixed sum. After graduation, you will repay a monthly amount based on the other half of the percentage for repayment and your income. Students at Witten/Herdecke University (UW/H) organize their financial contributions to the tuition fees by themselves and independently in the StudierendenGesellschaft (SG). The SG is a non-profit organization run by currently registered students in close co-operation with the university. It was founded in 1995 by UW/H students in order to enable students to finance their studies regardless of their parents’ income or social background. For this, the SG developed the Reverse Generational Contract which either facilitates a payment of monthly contributions while studying or an income-related repayment after graduation. Since 1995, the SG thus guarantees free access to higher education, free organization of studies and free choice of professional career for all students. Student contributions currently support the university budget with approximately 10 million euros of tuition fees each year (25 percent of the total budget). 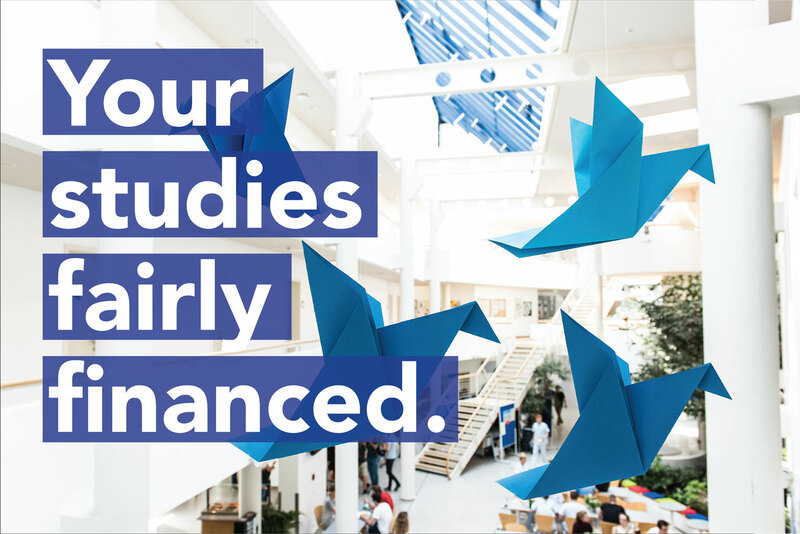 The SG manages all tuition fees, supports a wide range of student projects and, as a co-owner and shareholder of UW/H, participates in the shaping of the university’s future at the highest level. It is the students’ most important mouthpiece in the highest commercial body of the university – a novelty in Germany. Overview of tuition fees for all degree programmes, as well as information on the Reverse Generational Contract. One half during your studies, one half after graduation. Financing the studies via the Reverse Generational Contract guarantees free access to higher education, free organization of studies and free choice of professional career for all students. The StudierendenGesellschaft is a non-profit organization being run by UW/H students and managing the financing of studies in Witten. As a university co-owner, it advocates student interests towards shareholders and the executive board. Please contact the StudierendenGesellschaft personally, by phone or email for all enquiries concerning the financing of your studies.